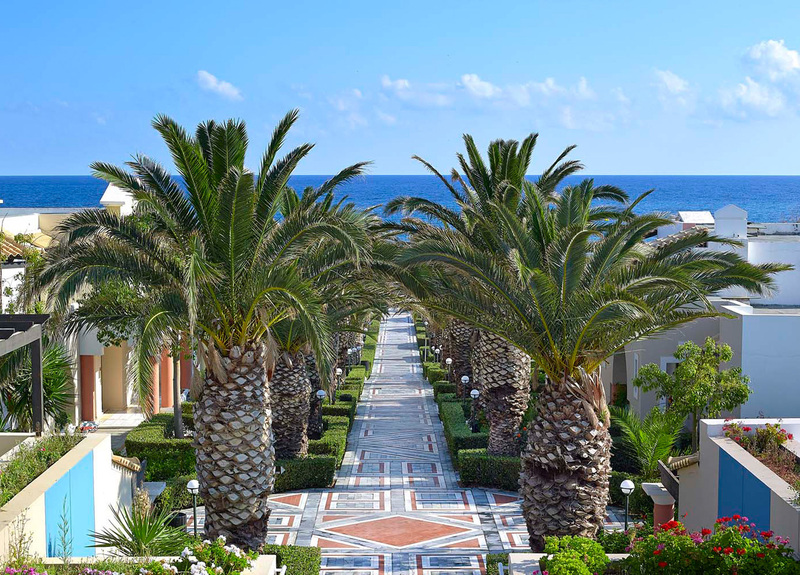 Bathed in sunlight and calmed by the gentle waves of the Aegean Sea—within easy reach of a spectacular beach—rests the idyllic and stylish Knossos Royal Beach Resort. This property is 4 minutes walk from the beach. This property combined Minoan-style architecture, recently refurbished rooms, gleaming swimming pools and lush gardens. All rooms have Private Balcony or veranda with beautiful views to the sea or the garden, satellite television and internet access. All rooms are equipped with Bath Amenities, Hairdryer, Cable-Satellite TV, Refrigerator, Room Service (up to midnight), Safe Deposit Box, Sitting Area, Wi-Fi Internet Access, Coffee Facilities, Beach Towels, Direct dial telephone and Flat Screen TV. 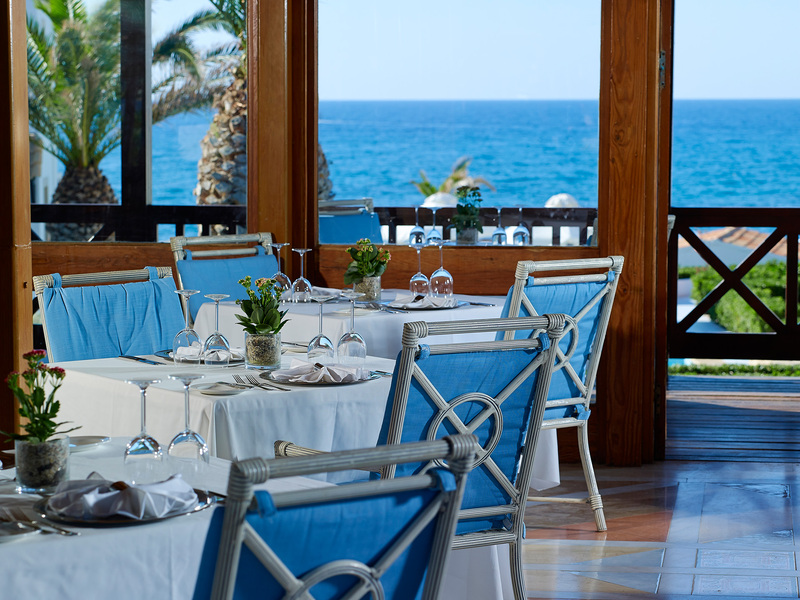 Aldemar Knossos Royal offers many and varied restaurants including the gourmet Fontana Amorosa, authentic Italian Pizzeria and the Greek taverna Artemis. 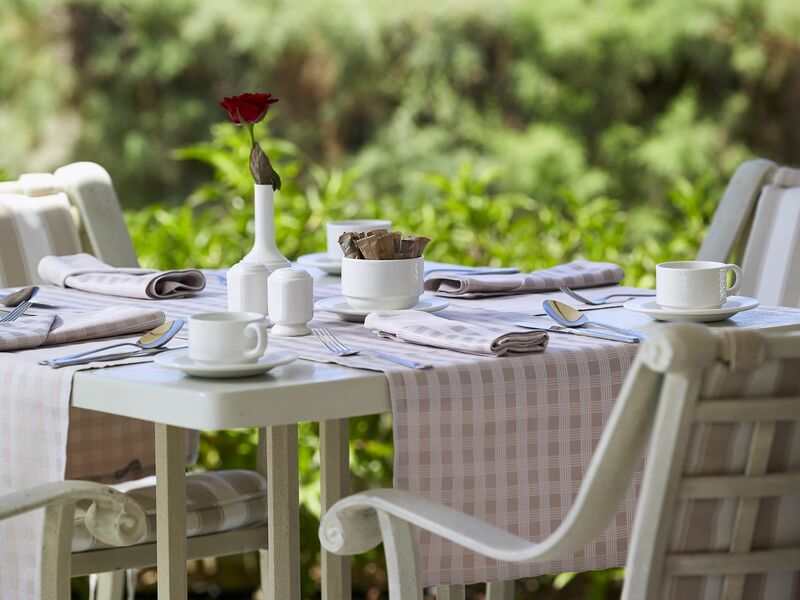 At the Fontana Amorosa guests can taste a range of Mediterranean dishes and fine wines, offering healthy eating options made entirely natural ingredients. At the Greek taverna Artemis guests can taste authentic local cuisine. The centre has two large halls, equipped with state-of-the-art audiovisual and simultaneous interpreting systems and a seating capacity of up to 710 people, the halls are suitable for even the biggest conference. If needed, special soundproof dividers instantly transform the two halls into eleven smaller spaces. 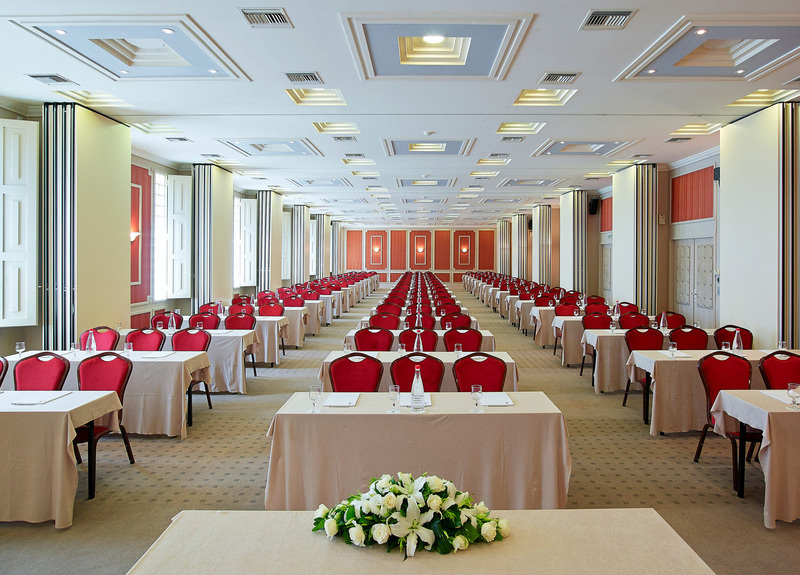 Thanks to this unique flexibility, the Knossos Royal Conference Centre is an ideal venue for individual or simultaneous events of all sizes ensuring complete success. 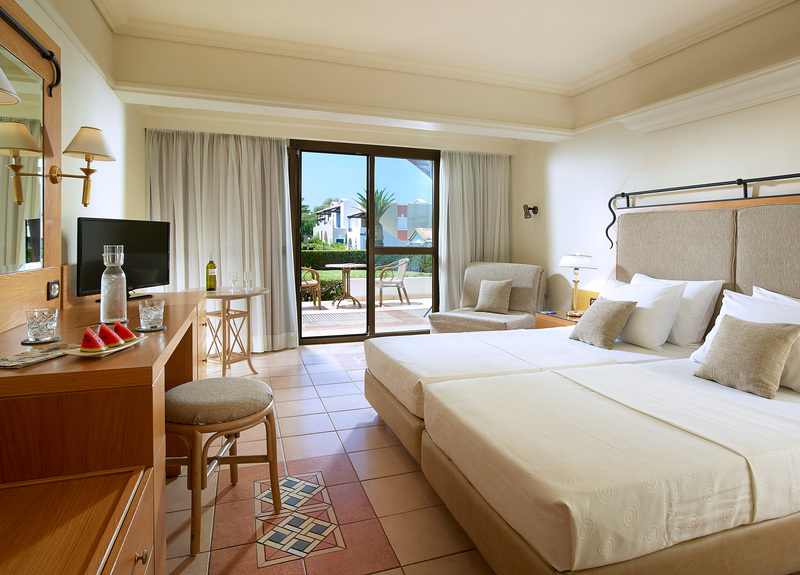 Aldemar Knossos Royal offers its guests a variety of services and facilities to further enhance their holiday experience. Some of the facilities are a wide range of water-related activities, Pools, Sandy beach with lifeguard, 2 Central outdoor pools with seawater, 1 indoor pool, 2 Outdoor pools for the exclusive use of seafront rooms. There is also a Horse riding centre, an Golf course and the Crete Aquarium. To reserve a room at Knossos Royal Beach Resort click here. 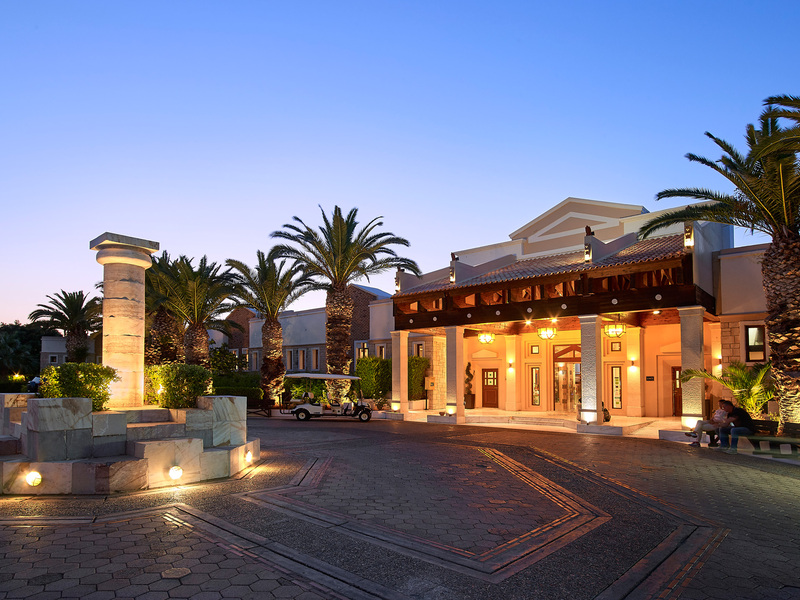 The venue (Knossos Royal Beach Resort) is around 25 minutes by car from the Heraklion airport.